It was such a treat working with the tattooed couple Heidi Lavon + James Ramsey while I visited Portland, Oregon this past January! This fiery couple are no strangers to the camera — have a look at their Instagram accounts and you’ll see (just makes sure you’re not at work while browsing!). 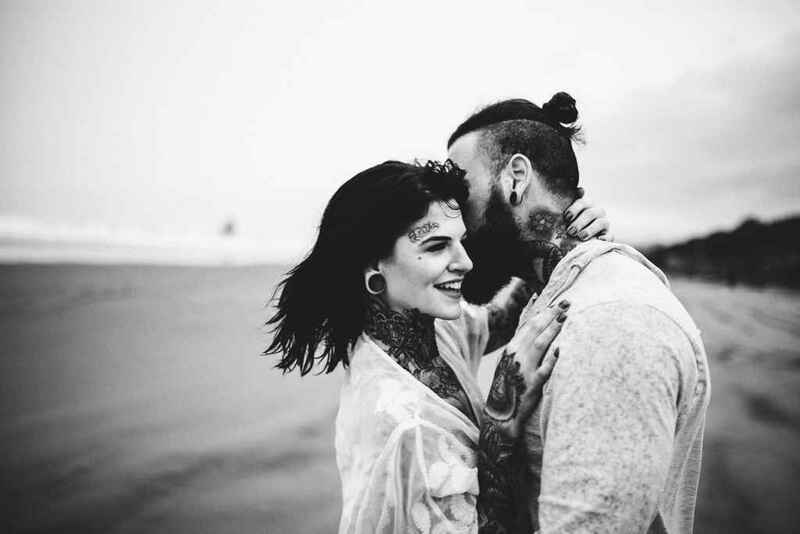 These two are typically posing for tattoo and fitness magazines, but for this session I wanted to really focus on their connection. Heidi + James are very much a real life couple, full of quirks and inside jokes on top of their steaminess in front of the camera! 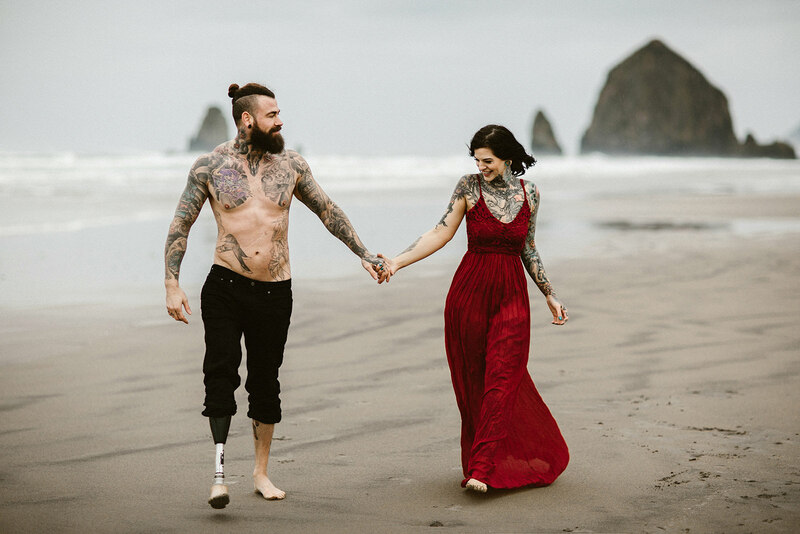 James is a model, musician and war veteran while Heidi models full-time (and often shot with her beau).